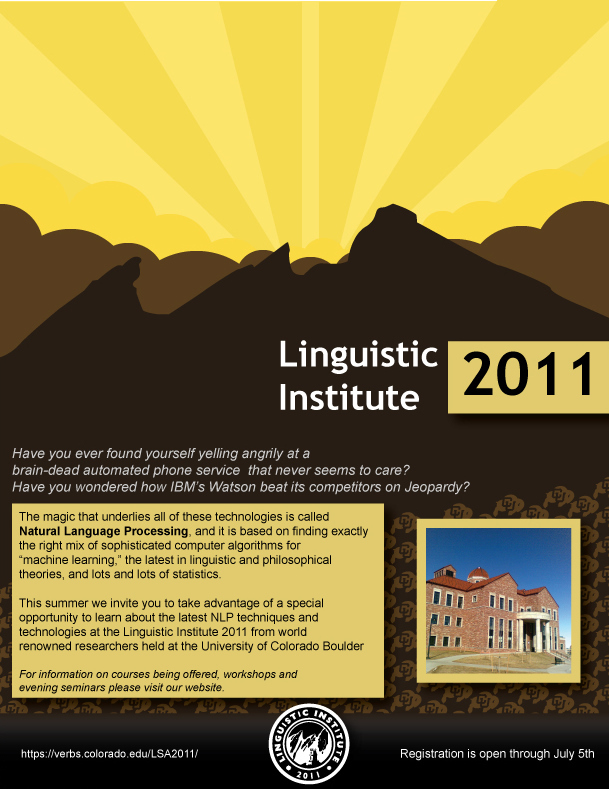 I’m a member of the committee that is organizing the linguistic institute being held here in Boulder July 7th through August 10th. 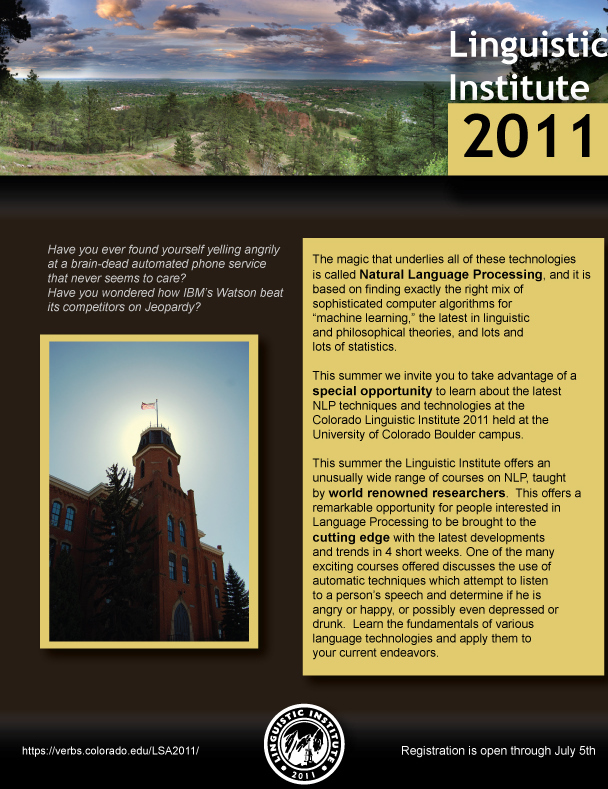 I’ve been handling a lot of e-mails, making sure a few dozen of the hundred+ incoming visiting faculty get the information and answers they need for their courses, and apparently designing flyers as well. Thanks to Henry Koren for the nifty Panorama on the second flyer. Next story Doctor visits, who needs’em?